I’m making a list and I’m checking it twice – I’m going to find out where’s naughty and nice! Christmas may be around the corner but I’m already in New Year mode plotting and planning the must see and do places for 2017. I’ve been researching the coolest spots and can reveal that National Geographic Traveller Magazine has chosen Donegal as their top destination for 2017. 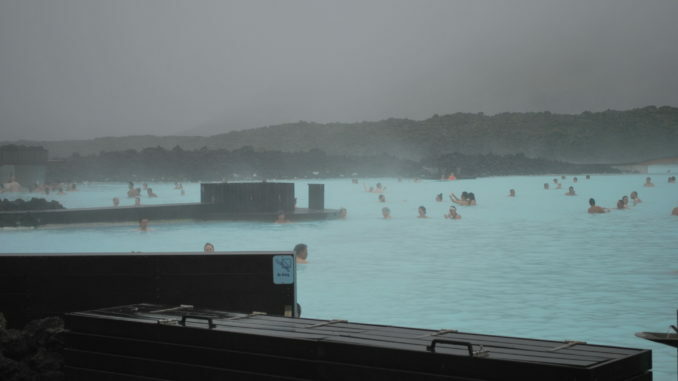 On this weeks show I’m also giving you the beef on Canada and Iceland because it’s the perfect way to have two holidays in one with low-fares airline WOW! 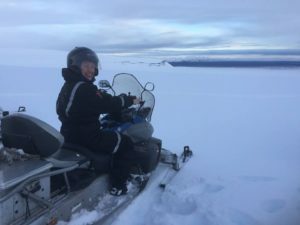 Iceland is expensive but with the correct planning and preparation it’s a great place to have an adventure – Snowmobiling from Mountaineers of Iceland is just one of the cool activities on offer from Reykjavik Excursions. 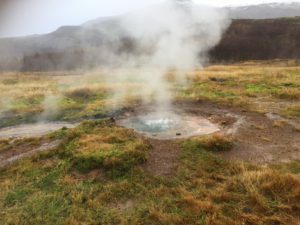 ICELAND has been a cool destination for the last couple of years and travellers and visiting in their droves and there’s very good reason why. It’s a country of contrasts and incredible landscapes. With 2017 being the optimum year to view the Northern Lights then it really is the best time to plan that trip and with such low fares from WOW air there’s no excuse. Canada has been googled more than any other country after the recent visit of the young royals this summer and it’s shaping up to celebrate all sorts of anniversaries. Montreal is going to be 375 next year and Canada will be 150 years part of the confederation so considering Montreal doesn’t need excuses for festivals 2017 is guaranteed to be a cracker. With flights to Montreal via Iceland on WOW Air it means that prices have never been cheaper. 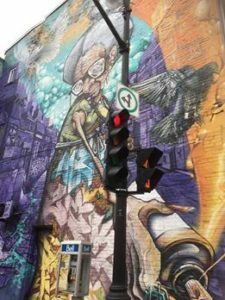 Flights to Montreal start from €165.99, with flights to Toronto from €145.00. 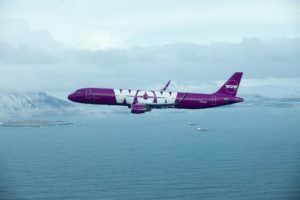 The WOW Stopover option allows passengers to explore Iceland on either leg of their transatlantic journey at no extra cost. 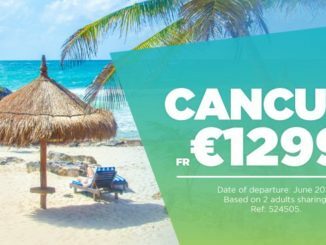 For more info see www.wowair.ie. All prices quoted include taxes and charges. 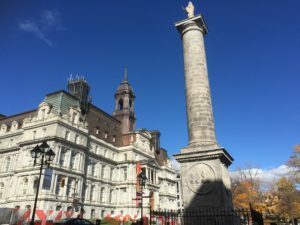 The Jacques Cartier Square is lined with street cafes in summer that lead down to the waterfront and stars like Bruce Willis and Keanu Reaves are often in town filming. 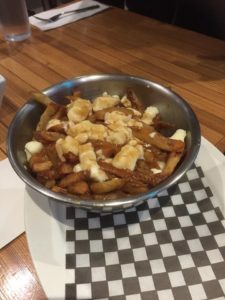 We binged on muscles and Poutine at Le Fripon cafe and enjoyed the local cider. It’s easy to get lost in lovely galleries and shops in this part of town. Street Art is everywhere in this student city that’s roughly the size of Dublin. 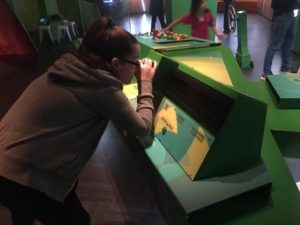 It’s built on a island and has a really European feel – with everyone speaking in french you will think at times you are in an alternate Paris. The remains of EXPO 1967 at Parc Jean-Drapeau are being carefully renovated for the sixtieth anniversary next year. 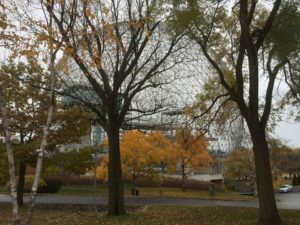 Expo was situated on the island where the Montreal grand prix race is held, it’s a cacophony of gold and red in late autumn. The track is used for local cyclists and rollerblading off season. Don’t forget to order Poutine – a delicacy of Chips gravy and cheese! 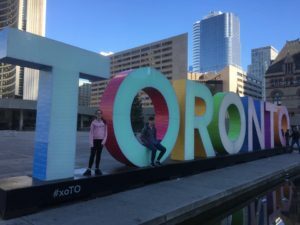 We took train on Viarail to Toronto and five hours pass quickly, even though the WIFI wasn’t up to the teen’s high standards. The Chelsea Hotel, the biggest in Canada, was our home three nights. It’s also exceptionally family-friendly with a swimming pool and the kids adored the newly refurbished family suites with a whooping three double-beds in our huge room. The choice of eating in the buffet downstairs is really good too and buying lunch for a family is considerably cheaper than European city prices. 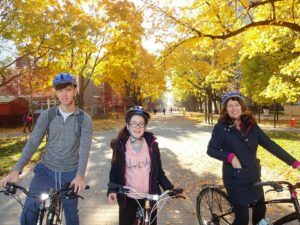 To get our bearings we took a tour with Toronto Bicycle Tours. 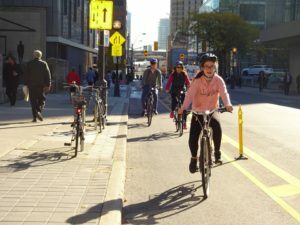 http://torontobicycletours.com/ Our host Terrance provides full equipment including drinks and snacks. He took us through the heart of Chinatown, top spots like Kensington Market, the pastures (where office workers eat their lunch among sculpted cows) and all the way down to Lake Ontario. 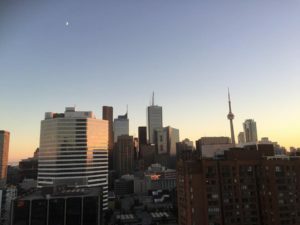 The hours whizz by as we figure out the main sights that we will get to next day, including the Hockey Hall of Fame and Casa Loma which has been the setting for many Hollywood films. The highlight of the tour of course is The CN Tower, at one time the tallest building on earth. The view is a tidier version of New York and prices in the 360 restaurant are reasonable too. It’s also next door to Ripley’s Aquarium which will take up an entire afternoon between the two. Niagara Falls beckoned as we are picked up at our hotel by our Sri-Lankan Guide. With free WIFI on the coach the happy teens didn’t even grumble when we stop off to sample the region’s ice-wine. 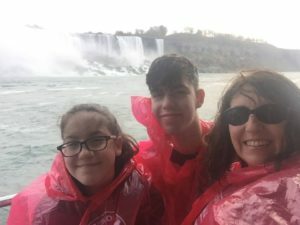 We were soaked as The Hornblower boat caressed the falls but the thrill was worth the wet. 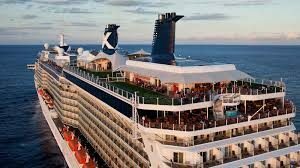 If you are heading to Niagara then we recommend King Tours http://www.kingtours.ca to take you there if you plan on a visit. 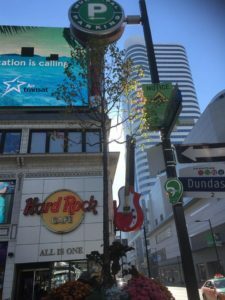 Shopping at Yonge and Dundas Square is a must. This strip has all the atmosphere in the centre of town and you will be forgiven for thinking you are in Times Square! With such low airfares and the weak Canadian dollar, we might be back next year? 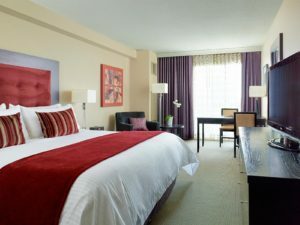 https://www.touramerica.ie/ Tour America have this great price for travel and accommodation on a two centre holiday in February to Toronto and Montreal from only €769pp! 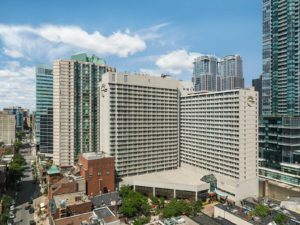 3 nights in Toronto hotel & 3 nights in Montreal hotel. Finally the Number one Destination in the world according to National Geographic Traveller is Donegal. It’s a gem that we’ve known about but now the rest of the world is on its way. 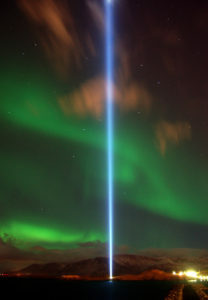 But you can still escape to enjoy this beautiful part of the country and if you are really lucky the Northern Lights have been known to show up here too. Bruckless House, the home of the Evans family, is an attractive 18th century Classical house. Listed nationally as a protected building, it has a traditional cobbled farmyard and is set in 18 acres of parkland. Bruckless House borders Bruckless Bay, and has a spacious informal award-winning garden of the Robinsonian kind, which features in the Donegal Garden Trail and in guides to Irish gardens. There is mature woodland around the House and which is carefully developed and protected. Connemara ponies are bred here and can be seen in the parkland and grazing down to the shore-line. From Bruckless House the visitor can explore the many interesting and significant local archaeological sites or simply enjoy some of the most beautiful and unspoilt Atlantic Coastline. Sea angling, shore diving and horseback riding in the immediate vicinity. 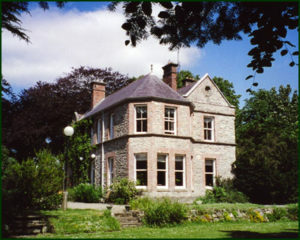 Bruckless House is a suitable base to explore Slieve League (the highest sea cliffs in Europe) and Glenveagh National Park. There are two golf courses within easy reach, as well as several excellent restaurants. Free WiFi for all guests. 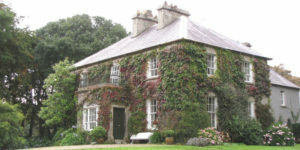 Bruckless House is located 18 kms west of Donegal Town on the N56 main road to Killybegs. Having travelled through Dunkineely and passed the Bruckless village nameplate, ours is the first driveway on the left immediately off the road. Double room, private bathroom €120. Single room, private bathroom €60. Double room with adjoining single room, sharing bathroom €160. No dinner offered. Excellent restaurants in the area. We are happy to recommend places that our guests might try and make reservations for them. 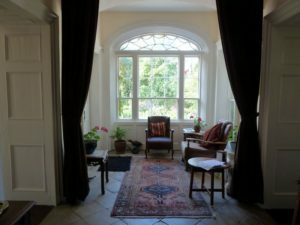 Open times – from May to September inclusive. Ramelton is a charming heritage town at the mouth of the river Lennon, once prosperous as a centre of the linen industry and a port, and still largely unspoilt today. There is an early church and the many merchants’ houses, one of which currently houses the Donegal Genealogy Centre, are fine examples of 17th century and Georgian architecture, and there are a number of large stone warehouses along the quaysides. Dinner €50, by arrangement only. Open 2 January to 20 December. Check out this beautiful coffee table book of Ireland’s country houses and make someone’s Christmas. Hidden Ireland is available in all good book stores now and published by Blackstaff Press. Hidden Ireland is a fascinating family of historic private houses around the country, and an invitation to stay and dine in unique and individual homes, each as diverse and interesting as their owners. Family-run, often by descendants of those who built the houses originally, and ranging from some of the country’s grandest and most important Georgian buildings to charming rural rectories, quirky small-town townhouses to big city mansions, staying with Hidden Ireland is a chance to be part of a genuine family history, sharing the owner’s historic home where guests become a welcome member of that family. It is the families who run these jewels that set them apart from any other kind of getaway. Each has their own charm – and occasional eccentricities! – but all emphasise comfort, and proper food, in surroundings full of character and personality. 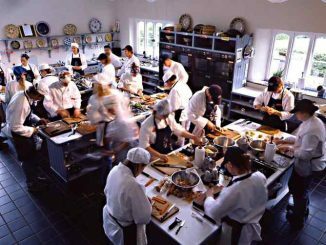 Hidden Ireland houses are united by their owners’ authentic old-school Irish hospitality, and dining with Hidden Ireland is an opportunity to explore a genuine field to fork ethos and a commitment to heritage recipes and forgotten skills. Fine traditional food – frequently using home-grown ingredients – is the star of the show, and the murmur of conversation around the dining table, perhaps set with old silver and cut glass and flowers from the garden, is often watched over by family portraits. Turn up barefoot or in a ballgown – the relaxed and informal approach rules in Hidden Ireland. 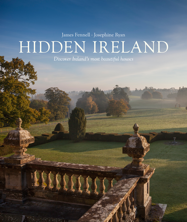 Just in time for the celebration of 30 years of Hidden Ireland, the group that represents this wonderful collection of historic country houses where visitors can stay and dine, the Hidden Ireland hardback book features houses in sixteen different counties, and from all four provinces. 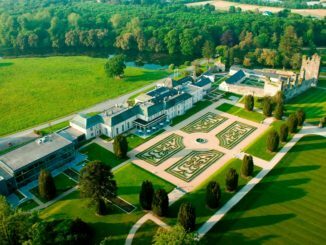 This stunning coffee table book offers privileged access to these houses and their owners – from a stately home in landscaped parkland in County Monaghan that has remained in the same family’s ownership since it was built in 1734 to a Georgian mansion in County Cork that has diversified into glamping and on-site gin distilling. Featuring eclectic interiors, family portraits and prized collections of art, antiques and fine porcelain, as well as the marvellous architecture and magnificent gardens that these houses are known for, James Fennell’s evocative photographs combine with Josephine Ryan’s lively, authoritative text to tell the story of Hidden Ireland – the history, the style and above all the personalities that are at the heart of these glorious houses.